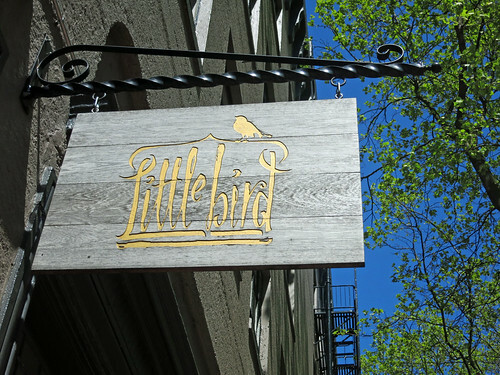 Little Bird is the sister restaurant of the famed Le Pigeon. 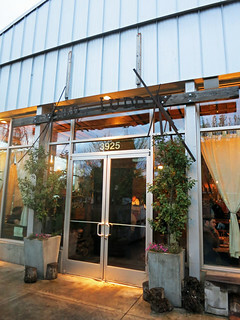 Chef Gabriel Rucker won the James Beard Award this year for Best Chef: Northwest. 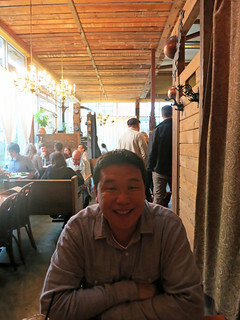 I won the lottery by getting to have a wonderful lunch with my friend annyong! 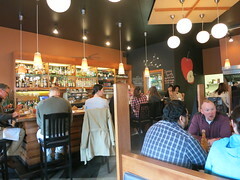 The space is so adorable and so very bistro-esque. 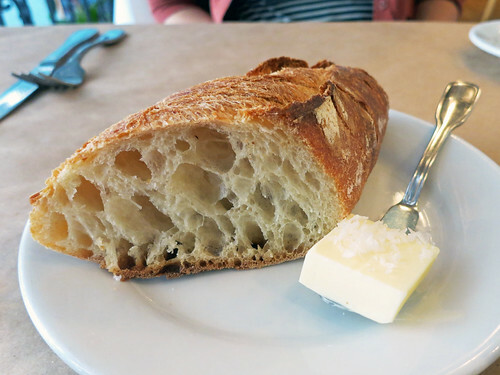 Even though we were ordering up a storm, we couldn't resist the bread and salt-topped butter. 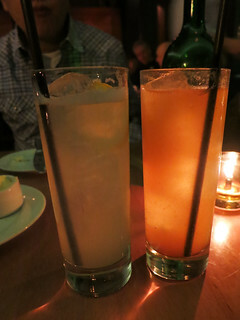 Yes, it's clear, but it was totally pineapple-y! Crazy! 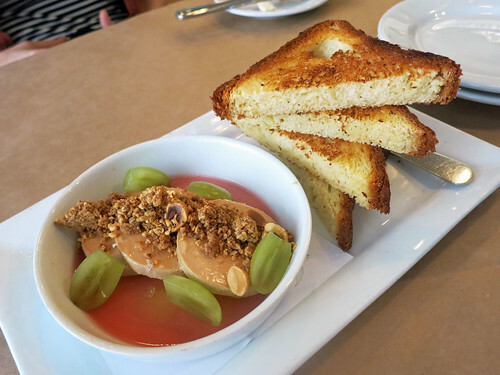 Foie gras torchon, rhubarb and muscat grappa gelee, hazelnut streusel ($17). Heavenly! I loved this rich and creamy decadence, and I loved the fruity, tart, and nutty supporting cast. 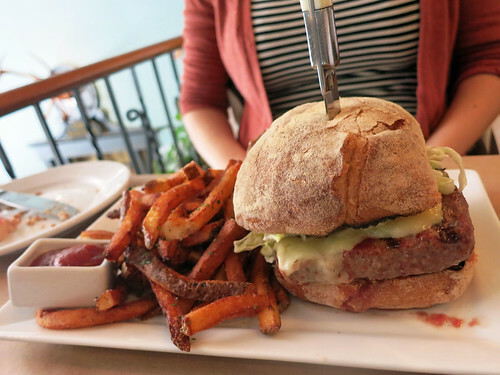 Le Pigeon Burger and fries ($12). annyong highly recommended this burger, and we had a fabulous time sharing it and the marvelous fries. Really juicy and substantial. 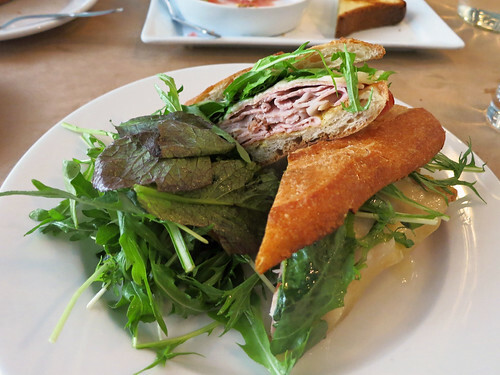 Baguette, jambon de paris, Gruyere, dijon, greens ($8). Delightfully simple yet delicious. 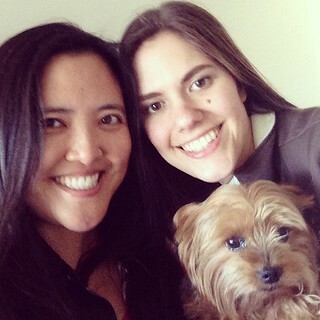 So glad annyong and I traded halves! 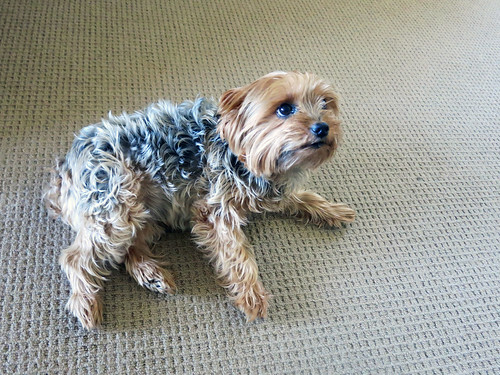 Bonus pics: annyong's adorable dog (too cute for words) and all three of us! Great end to a great trip. 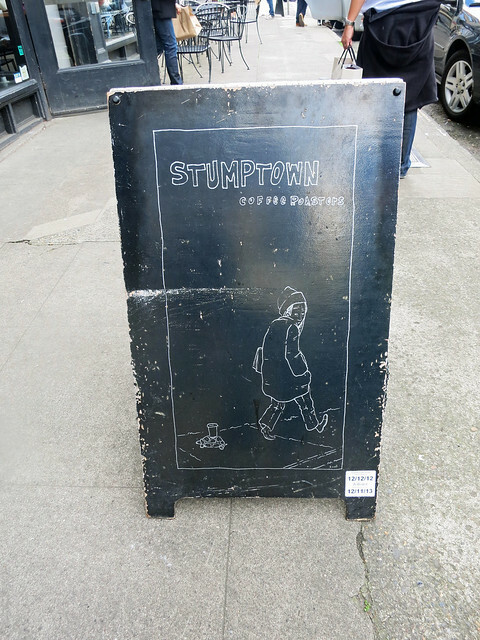 You rule, Portland. 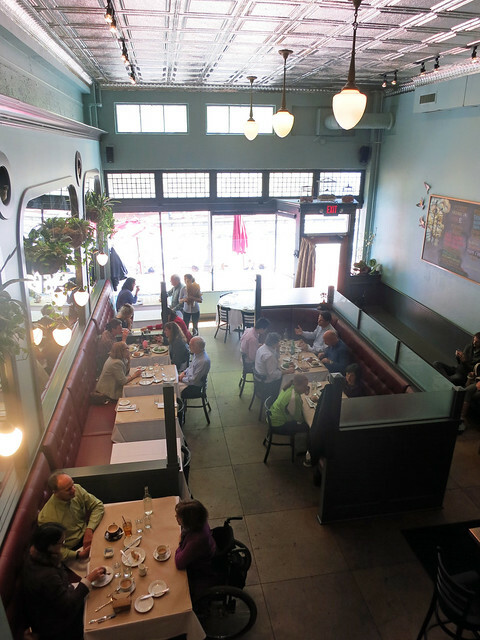 I highly recommend you try Ned Ludd when you go to Portland. It is so fresh and delicious and warm and wonderful, and you'll feel so good and content when you're done with your meal. Out of all of our meals during these two trips, I'd say this one was most representative of Portland or, at least, what I think of when I think "Portland." 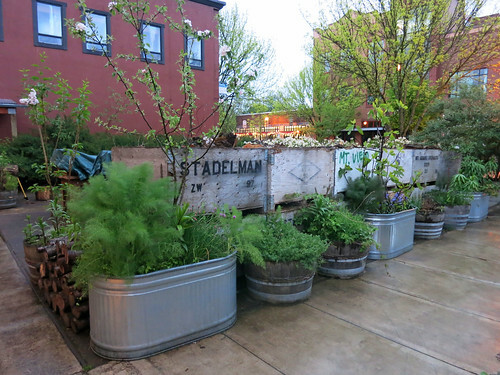 The building looks somewhat warehouse-y, and galvanized tubs galore sit right in front, full of the very herbs and vegetables you're about to eat. 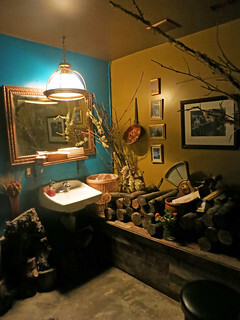 A preponderance of dishes has some element prepared in a wood-burning oven, and even the rather rustic restroom is filled with wood. 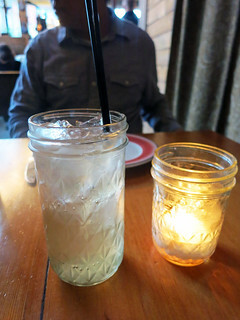 Drinks, like the nettle soda ($3) above, come in Mason jars. 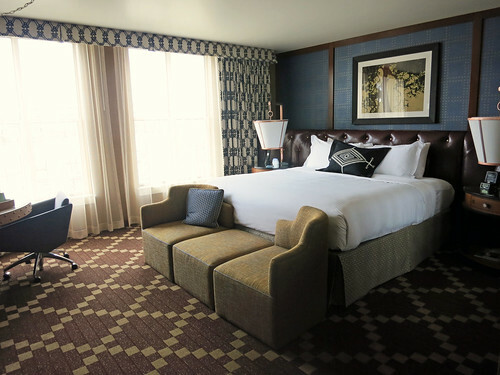 Ned Ludd is fancy lumberjack fare. It will absolutely delight your inner cosmopolitan Paul Bunyan. 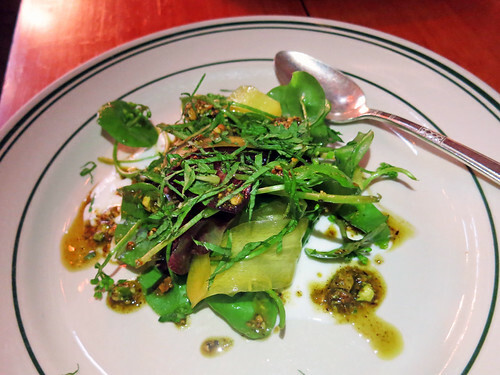 Miner’s lettuce, shaved carrot, pistachio, mint, yoghurt vinaigrette ($8). Fantastic and refreshing. It tasted like it had just come out of a garden. Because it did. 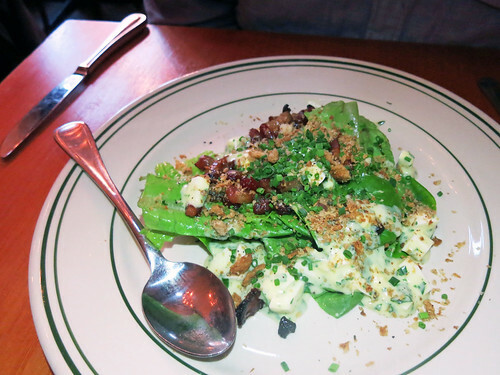 Sylvetta arugula, shaved bacon, pickled raisins, hazelnuts ($9). The best salad ever for meat lovers! Mr. Monkey said this should've been called "Amazing Bacon and Friends." Incredible. 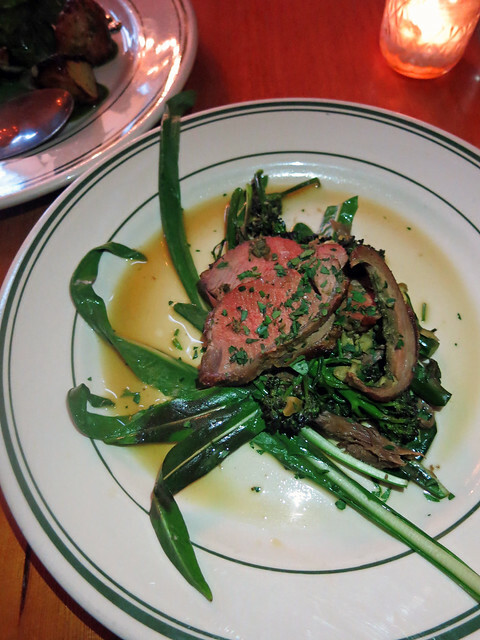 Pastured lamb, puntarella, sprouting broccoli, green olives, persillade ($19). Just glorious. The lamb was so tender, smoky, and luscious, and the greens paired perfectly. 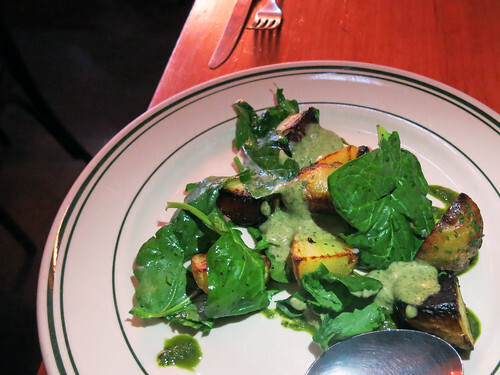 Crisp potatoes, spinach, fermented greens, nettle aioli ($9). Argh, so yum. 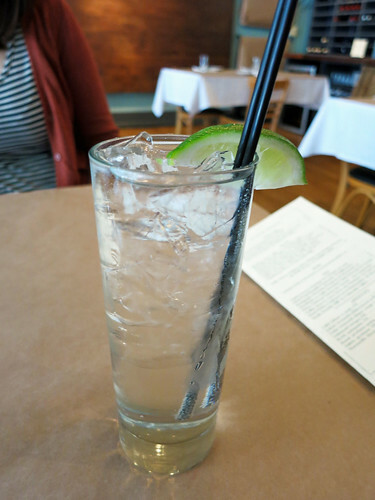 Ned Ludd's oven and garden can do no wrong. That charred goodness. That beautiful greenery. Sigh. 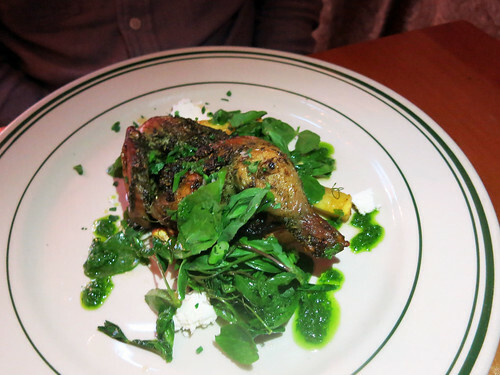 Game hen, carrots, pea tendrils, goat cheese, garlic chive ($17). You know I go crazy for tiny fowl. The blackened bits. The succulent meat. I lost my mind. 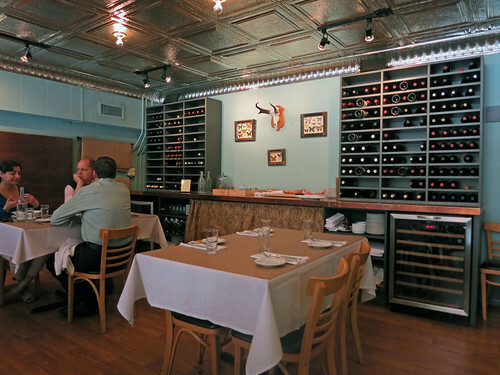 Ned Ludd's oven is magical. 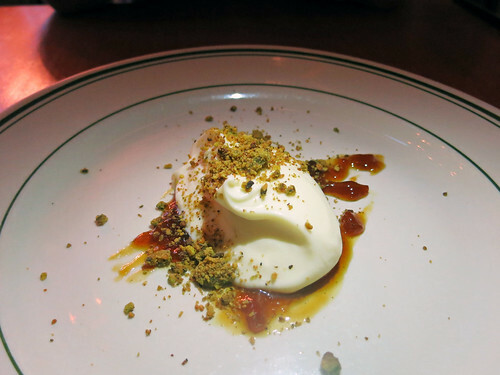 White chocolate cremeaux, lemon marmalade, pistachio, lavender ($8). This wasn't from the garden or the oven. 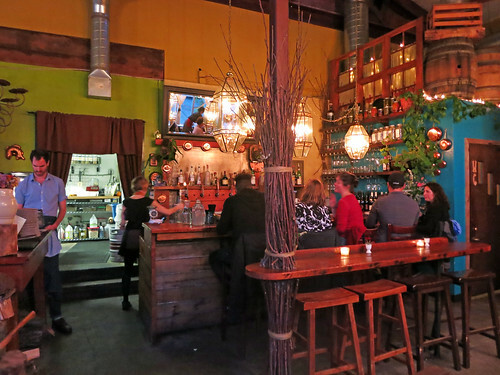 Could Ned Ludd pull off dessert? Yes! A resounding yes! Slightly sweet. Slightly tart. Slightly nutty. 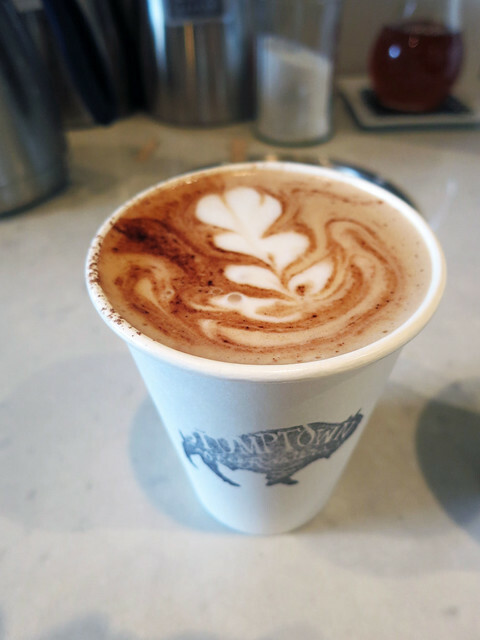 Totally creamy and dreamy. Bravo, Ned Ludd. 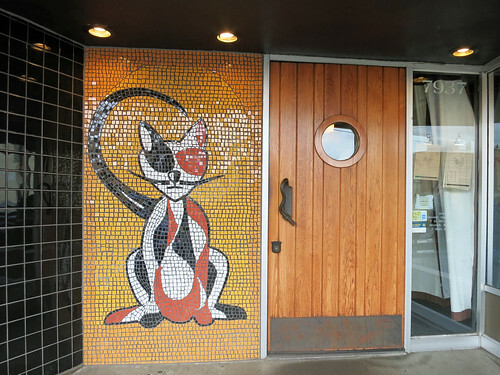 Thank you for a splendid Oregonian meal. 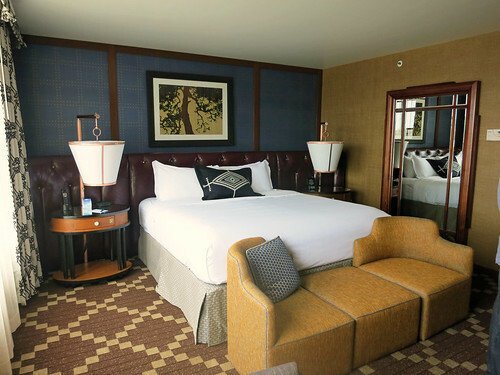 After a free night at The Courtyard, we moved to the RiverPlace Hotel for another free night, thanks to our Kimpton status. 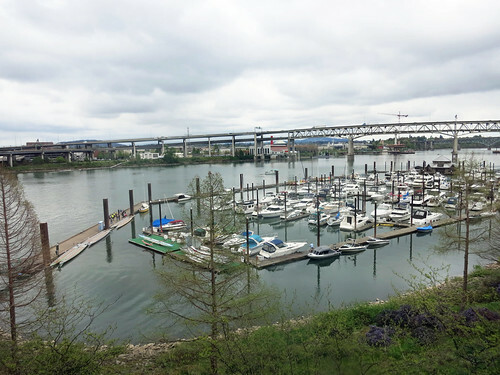 Our room was comfortable with a serene view of the Willamette River, and there were good strolling paths nearby. 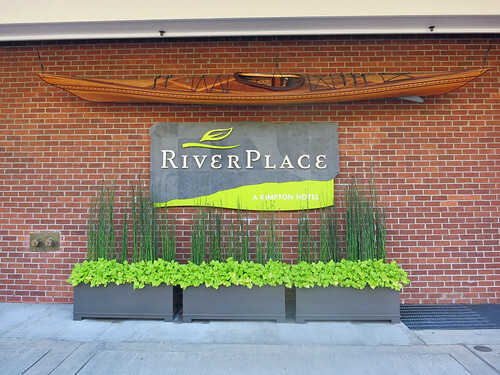 While not as conveniently located as The Courtyard or the Vintage Plaza Hotel, the RiverPlace Hotel is still a nice place to stay, just five to ten minutes away from desirable downtown destinations. 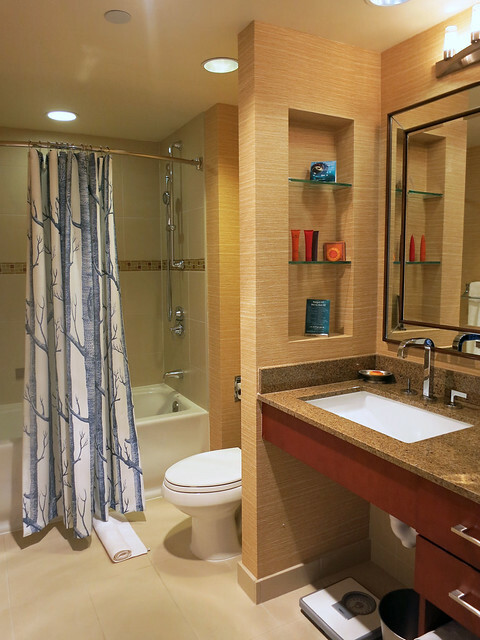 In fact, some may prefer it for the peace and quiet. 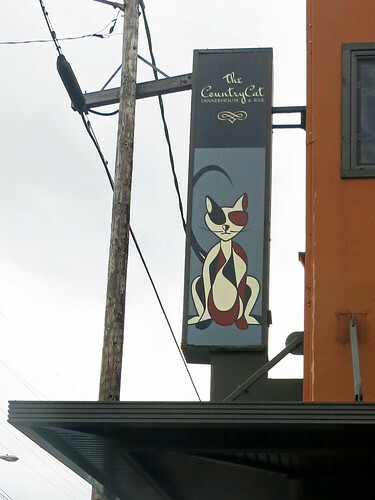 We met Mr. and Mrs. annyong for brunch at The Country Cat Dinnerhouse & Bar. 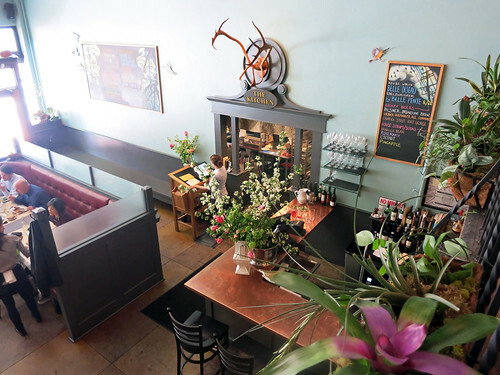 Don't let the name of the place fool you -- it's a delectable daytime dining destination. The annyongs ordered the same two dishes we ordered, so that's why there are only three items below. 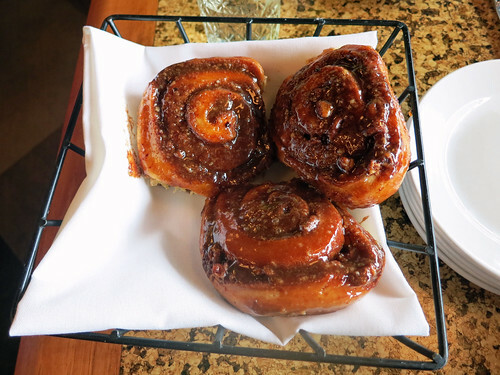 Basket of pecan cinnamon rolls ($7). Shrimp and grits -- sauteed shrimp, Merguez sausage, and two eggs any style served on grits with pan gravy ($12). 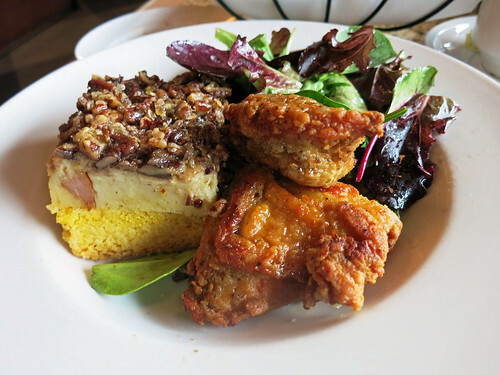 Cast-iron fried chicken with bacon-pecan spoon bread and field greens dressed with maple syrup ($13). I wouldn't say that this meal knocked it out of the park, but you won't leave disappointed. 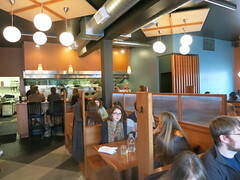 The place is quite popular, so I imagine other dishes are strong, too. 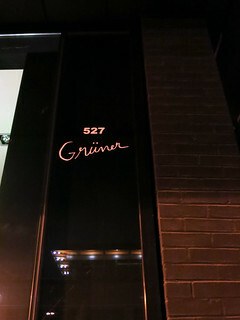 Lots of people really love Grüner in Portland. We liked it but didn't love it. It's not Grüner's fault. 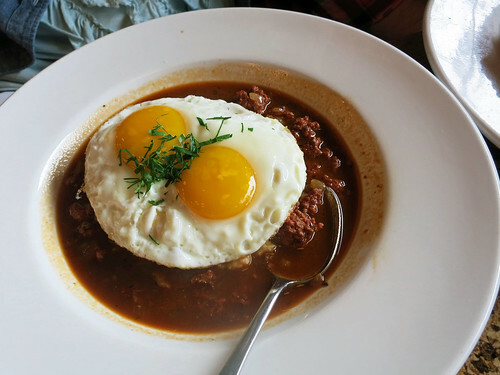 We simply realized that German cuisine isn't at the top of our list. 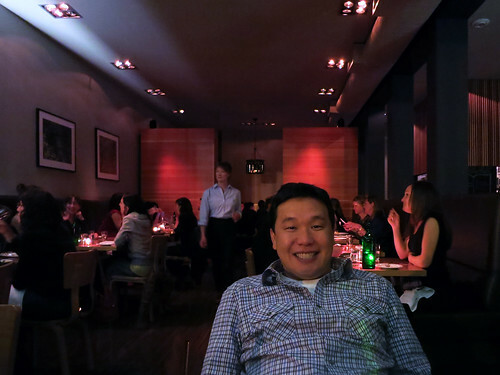 If you're looking for a good German meal, I don't think you can do much better than Grüner. Well, unless you're in Germany or have a German grandma. 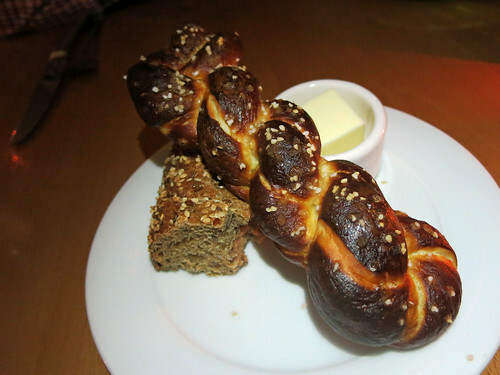 Complimentary pretzel bread (and other bread) and butter. We didn't even touch the regular bread. Why would we when we had that glorious braid on top? 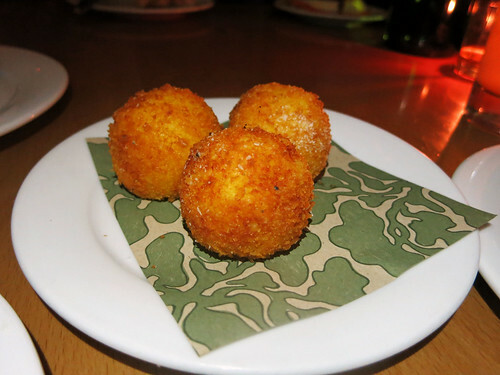 Crisp polenta croquettes stuffed with Raclette cheese ($5). Our first few bites were the best of the entire meal. Just read those ingredients. Just look at that golden glow. Five dollars bought a lot of happiness. 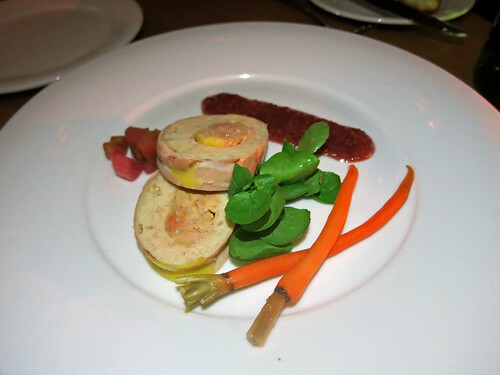 Bacon-wrapped rabbit roulade filled with foie gras served with toasted brioche, raspberry mustard, pickled rhubarb, and pickled baby carrots ($14). 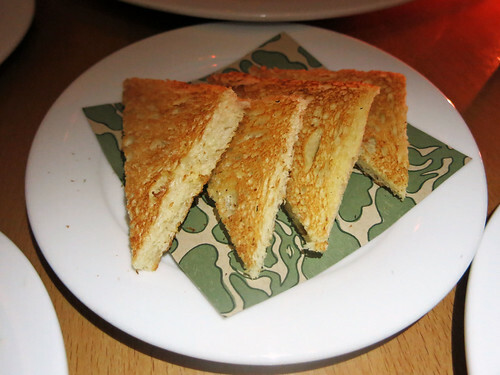 Given the foie gras ban back home, this was a no-brainer order for me. Solid. 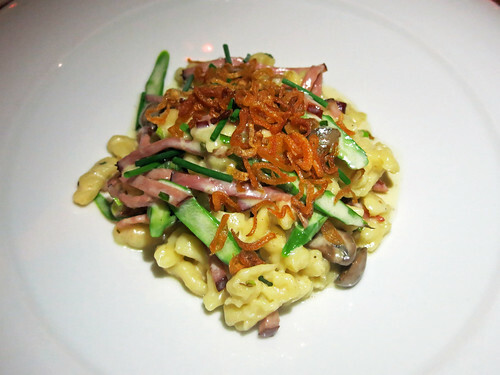 Quark spätzle, Edelweiss Black Forest ham, sauteed green garlic, asparagus, Crimini mushrooms, Fontina cheese, cream, chives, crisp shallots ($22). Tasty...but not even close to being as tasty as Italian pasta. Unfair comparison perhaps, but it's the truth. 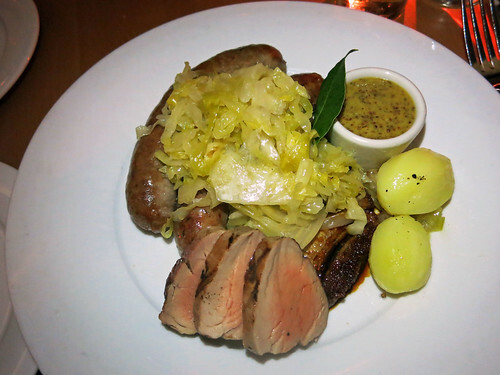 Choucroute garnie -- bratwurst, saucisson, cider-braised pork belly, cured pork tenderloin, sauerkraut, sweet mustard, Yukon Gold potatoes ($26). So traditional. So very German. Nice version. 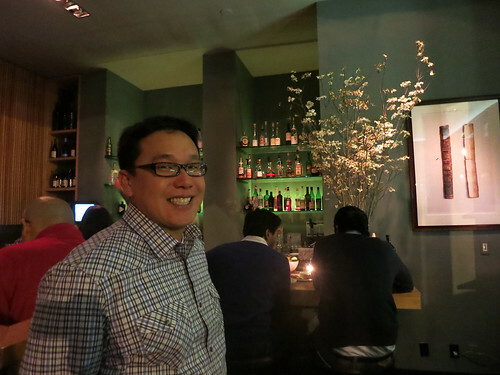 We were glad to have sampled Grüner, but it's unlikely we'll ever return. 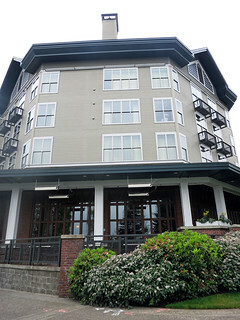 You can do better when you're in Portland. 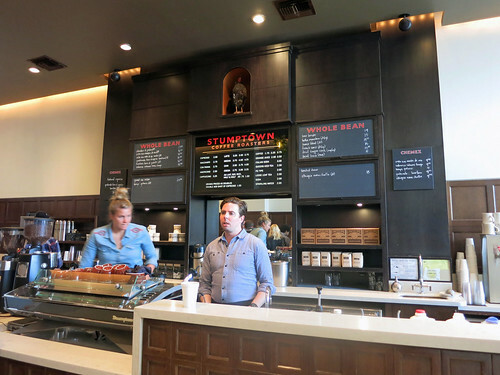 Stumptown is a coffee bar and roastery headquartered and beloved by many in Portland. 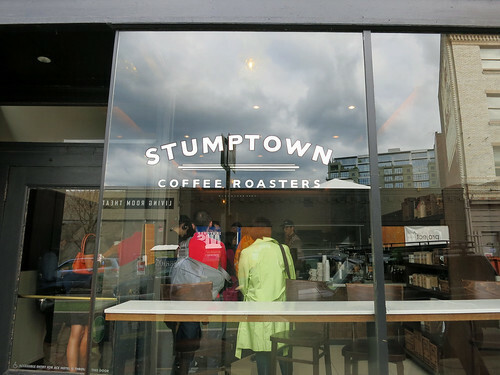 There are five locations in Portland, two in Seattle, and two in New York City. 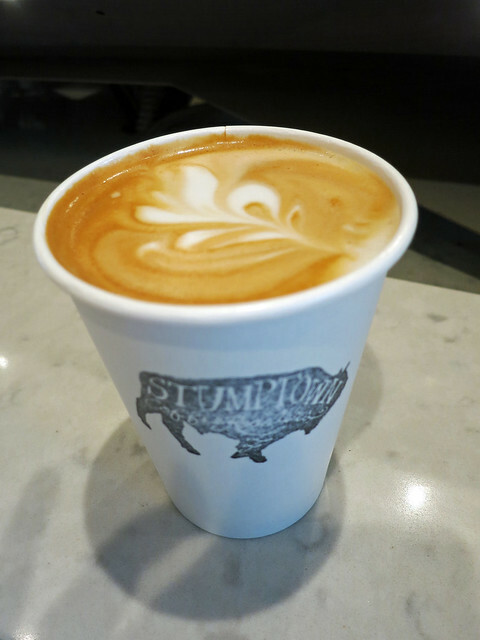 We enjoyed our afternoon pick-me-up in a cup. You should stop by.